We provide access for institutions through an IP-protected page on our website where online copies of all our recent issues are available to read in an eBook viewer. Please visit our Previews page to see how this works. 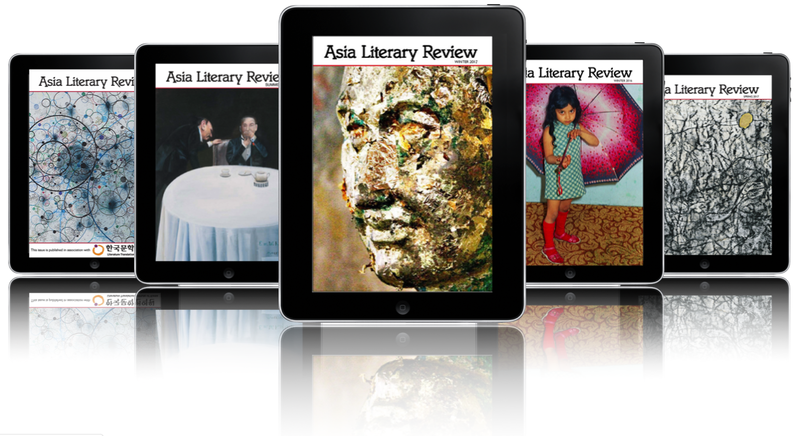 With hundreds of articles instantly available for individual and institutional subscribers to read, the Asia Literary Review provides a huge resource of writing from and about Asia, featuring a comprehensive range of contemporary fiction, non-fiction, poetry and interviews. We're confident that nobody else can provide such easy and immediate access to such a rich range of material. To take out a digital subscription for your institution, select an option from the menu below and click Buy Now. You'll have an opportunity to send us a message with your institution's IP address(es) so that we can activate access for your readers. If the IP address details aren't immediately available, you can send them later by email. Subscription rates vary according to the number of readers who will have access to the material. If you'd like to discuss or clarify your institution's requirements, please do get in touch. To celebrate our new digital platform for institutions, we are offering a flat rate of US$400 a year, regardless of FTE, to our first ten institutional subscribers. We take payment by credit card or through a PayPal account. If your institution prefers to pay by bank transfer, we'd be happy to provide details. Click here to place an order and request an invoice. Print subscriptions are available at US$60 (annual), including delivery worldwide. Our subscription button below will accept payment either by credit card or through a PayPal account. If your institution prefers to pay by bank transfer, we'd be happy to provide details. Click here to place an order and request an invoice.